BMW is a company known for luxury and high end designs. Their vehicles	are created to last for many years if they are properly maintained. Come	visit us at	Frank’s Automotive if you are in need of quality BMW repair services in Sacramento. Brake	repairs, engine repairs, transmission work and all other BMW services	are our specialities. Our mechanics will provide you with only the highest quality repair services	because they are trained German car specialists. You only want to trust	your BMW with the best which is why you should visit us when you need	any repair or maintenance service. Please feel free to stop by with any model BMW for repair services. We	also provide maintenance services for BMWs which will help to ensure your	vehicle continues to operate smoothly for years to come. Never neglect	oil changes, transmission flushes and tune-ups for your vehicle. All of	these important services help increase the longevity of your BMW. Your brakes are one of the most important components of your vehicle. You	should never neglect	repairs to your brakes since they are critical to the safe operation of your vehicle. Brake systems are comprised of many components including cylinders, drums,	pads, rotors, shoes, lines, reservoirs, calipers, pistons and more. Each	part of the system must be properly maintained in order for the whole	to function properly. 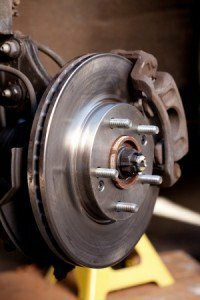 If you hear squeaking, grinding or clicking coming from your brakes, your	braking system may need repairs. We provide high quality brake repairs	for BMWs, so please bring your vehicle in right away if you have a failing	brake system. 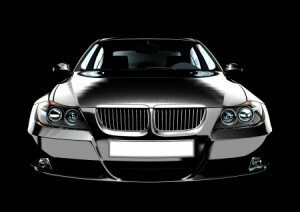 We also provide a myriad of other important repair services for BMWs including	A/C repair, transmission repair, engine repair, suspension repair and	more! No matter what the issue is we have the solution. We will begin by providing you with diagnostic services for your BMW. With	our state of the art technology and highly trained staff, we can get to	the root of the issue quickly. Once we have diagnosed the problem, we	will provide you with the options available for repair. We are always	upfront and honest in our assessment, so you can count on us for reliable	diagnostics. When it comes to BMW repair services in Sacramento, no one has us beat. We offer everything from complex brake repairs to simple oil changes for	BMWs, so stop by for any service large or small. Here at Frank’s	Automotive we specialize in all German made vehicles, so you know you	will receive high quality, specialized service from our mechanics. We	look forward to serving you soon! Contact us today!